According to this subdivision we should choose the method how to fix software errors. So, let’s examine every group separately. So, the first group is system software errors. This group includes the errors that can be caused by inappropriate work of some essential exe file of your operating system. So, if you have the software error of this type you can be annoyed with different error messages, for example the error messages that consist of the following words: “error loading”, “missing files”, “Windows cannot access”, “Windows cannot find”, “… has stopped working”. The essence of these types of errors is the absence or inappropriate work of a separate file, the name of which you can see in the error message. So, something bad has happen with this file. It is not so hard to explain its inoperability. Scan your computer for viruses. It is the common method against different infections. But there are some cases when your antivirus program is not able to find anything, because it is corrupted by the same viruses or infections or it also can be that the antivirus is just doesn’t have this infection in its database. In the case if your antivirus cannot find the infection on your computer, you can just try to reinstall it. If this does not work either, you can try to scan your computer in Safe Mode. If this method also is not useful, then you should just use another antivirus program or any special removal tool. After that you should do the restoration of the system for the case if the antivirus will remove the infection together with the file itself. In order to do the restoration of the system you should just insert the Windows Disk into your computer and restore the system from it. Sometimes special removal tools are more effective than antivirus programs, there are removal tools for every windows cannot find problem and also for every system software problem, you should just search for them on the internet, download, install and run. 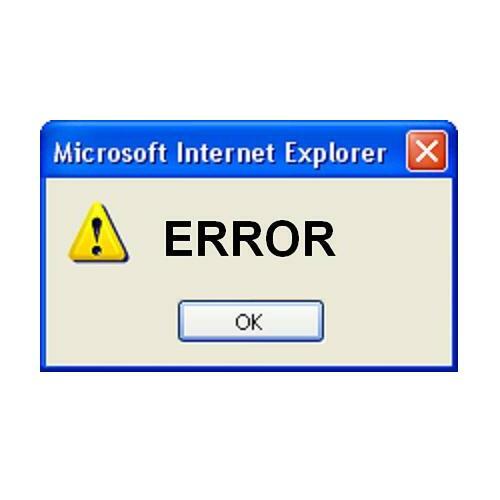 The second type of software error is called Program errors. So, it is almost impossible to enumerate all the problems that can be bound with different programs as well as to enumerate the names of all the possible user programs. But there are also some common methods, how we can eliminate this type of software problems. So, the most basic method is to check up if the version of the program is compatible with your version of Windows OS. If not, just find the compatible one and install it. Sometimes there are cases when the computer hardware can be too “weak” in order to run your program, so there are no way out else as to change some details. This can happen if you want to install for example the latest version of Photoshop program or the latest computer games, but your video card is integrated into the motherboard. So you should purchase another video card, which will run your program. If these two variant are not about your case, you can just try to reinstall the program, but before the installation it is recommended to scan your computer for viruses. 1. Right-click Computer, then select Properties. 2. After that you should select Device Manager. 3. Check up if all the drivers are all right. You can recognize the broken, corrupted, outdated or absent drivers if you see the yellow icon with the exclamation mark inside. So, this way you can understand what driver you should reinstall. We think that this knowledge is enough to fix software errors. If not, then you can find some instructions that are written for your personal software error. Scan your computer for viruses. It is the common method against different infections. But there are some cases when your antivirus program is not able to find anything, because it is corrupted by the same viruses or infections or it also can be that the antivirus is just doesn’t have this infection in its database. In the case if your antivirus cannot find the infection on your computer, you can just try to reinstall it. If this does not work either, you can try to scan your computer in Safe Mode. If this method also is not useful, then you should just use another antivirus program or any special removal tool. You may also like the article about high CPU usage problem, following the link you will learn how to solve this issue.